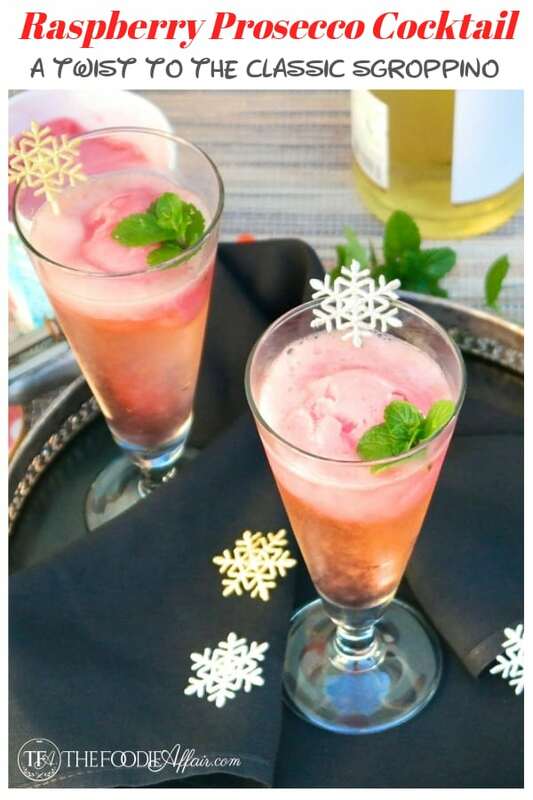 Italian Raspberry Prosecco Cocktail (Sgroppino) A twist to a classic drink! Try this prosecco cocktail with a twist to the classic Sgroppino! 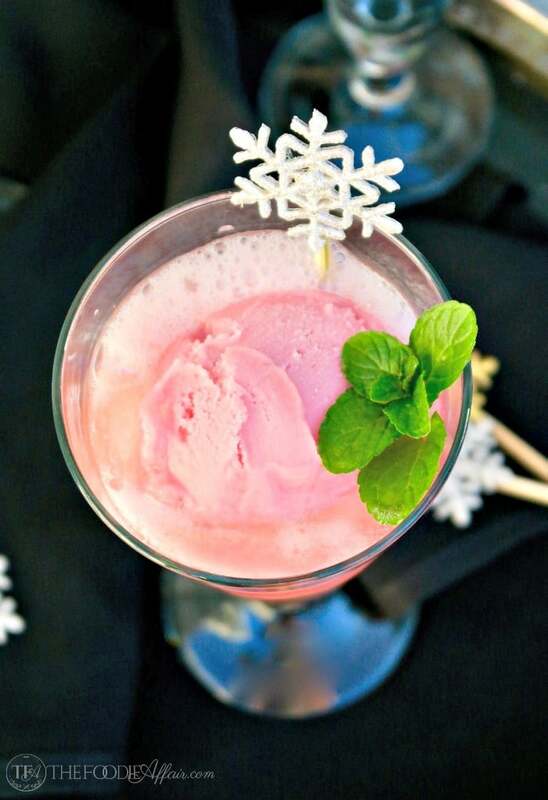 This drink is a combination of vodka, prosecco and raspberry sorbet instead of lemon! Festive and delicious for any special occasion! This cocktail is usually made with lemon sorbet, but after going to three different stores without any sorbet luck, I had to rethink this cocktail. I mean you can only do so many taste tests when there is alcohol involved, right? Mango was another flavor option that I could have picked, but raspberry is so pretty and festive! Next time I think I’ll make this with lemon ice! Sgroppino is a cocktail originally from Venice, Italy. The classic cocktail is made with prosecco, vodka and galeto. The word Sgroppino means to “loosen” or “untie” otherwise interpreted as “chillax” or “relax” lol. This drink is meant to be enjoyed after your main meal or between courses to cleanse your palate. 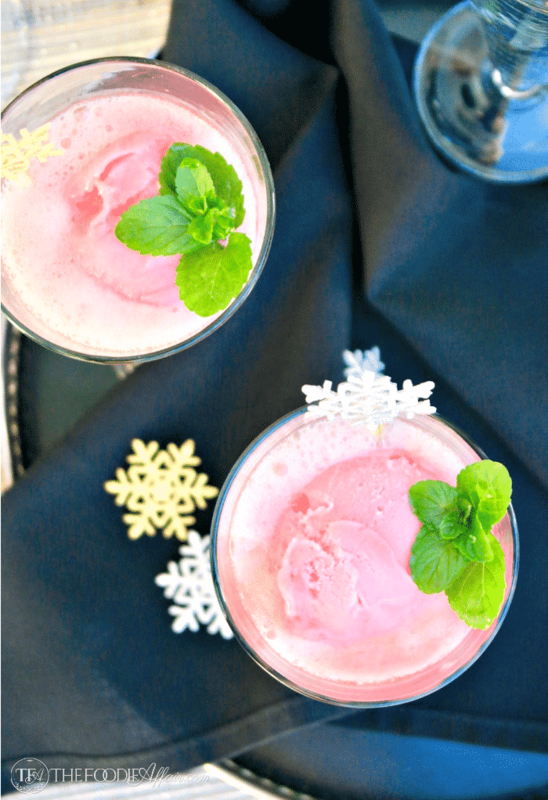 This cocktail is one of my favorites because it’s super easy to put together, it’s tastes delicious as well as festive looking, and can be enjoyed all year long! To make a sgroppino you need to start with tall glasses that will fit a scoop of sorbet. Chill your prosecco and add it to the glass with the vodka. Add a scoop of sorbet and you are set! This drink is best if enjoyed right away. PRO TIP – Chill your glasses too! I put the glasses in the freezer before serving. It’s a new year to refocus, reevaluate, plan, and and take action! How many times did you have a plan in place and worked step by step in order for the situation or event to solidify, then BOOM it either didn’t take place as intended or unexpectedly jolted you like a roller coaster? They say those situations make you stronger and that’s how you grow and learn as a human being. I believe that to an extent, but I also think that if plan A didn’t work out, then you adjust, refocus, and work on plan A-1. What is plan A-1 you ask? I REALLY, really try to keep politics out of my blog and social media, but sometimes I can’t help but click on a meme that I connect with or offer my opinion in a thread. Then I’m left frustrated because my words don’t convey my feelings to the fullest, and I’m a Libra – I yearn for peace and justice. This is when plan A-1 comes into place. Refocus, reevaluate, plan, and and take action. Talking about my frustrations with the political system, and feeding into a heated discussion does NOTHING. It won’t change a thing. ACTION will. Currently, I’m reevaluating where I want to focus my energy so I can get to the action phase. So if I have a New Year’s resolution, the focus is NOT going to be about getting a six pack (ha- never would be! ), or making sure I get more fiber in my diet (haha – well maybe!). It’s going to be about making a difference somehow, someway. I can’t wait to see what unveils for me. What are your goals for the next year? Cheers friends! Add prosecco and vodka to a tall glass. Top with sorbet. Enjoy! Based on Giada De Laurentiis Sgroppino recipe on the Food Network. 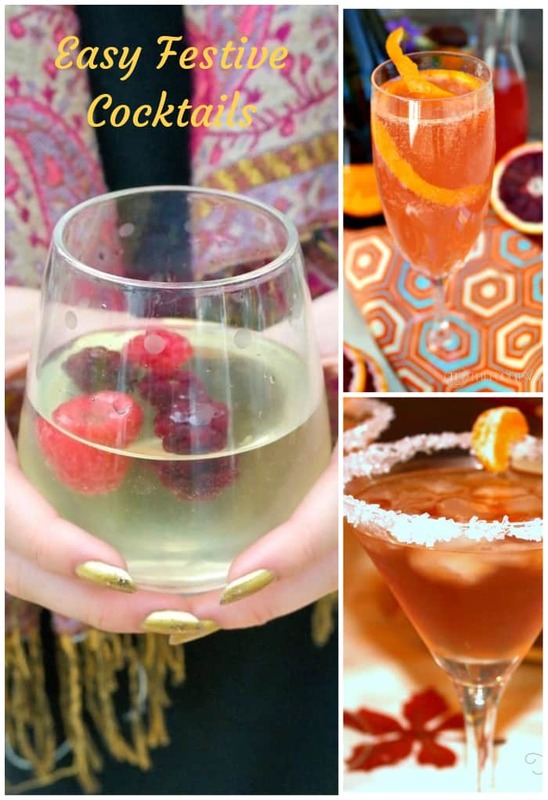 You also might enjoy these festive cocktails – PIN to your COCKTAIL or PARTY plan board! This is SO well said, and I couldn’t agree more! I try to stay away from political discussions at all costs. On the rare occasion I do speak up, and it ends up in some kind of dead-end argument, I feel so discouraged — drained of all that vital energy I had when I left the comment, that could have been put to better use if I had taken action instead. 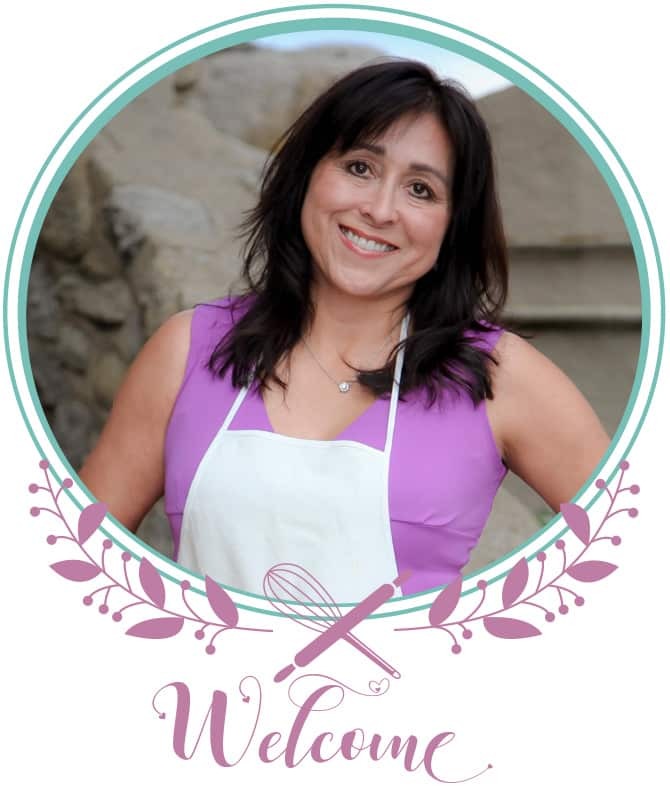 One of my goals for the new year is to host or participate in a fundraiser for a cause I believe in, which I feel is a much more positive use of my energies. Oh, and P.S., this cocktail sounds SO GOOD. I love raspberry sorbet, and actually make my own when raspberries are in season. Who says I can’t have a New Year’s cocktail in the middle of summer, haha! I might just have to make this when I’ve got a fresh batch of sorbet in the freezer! 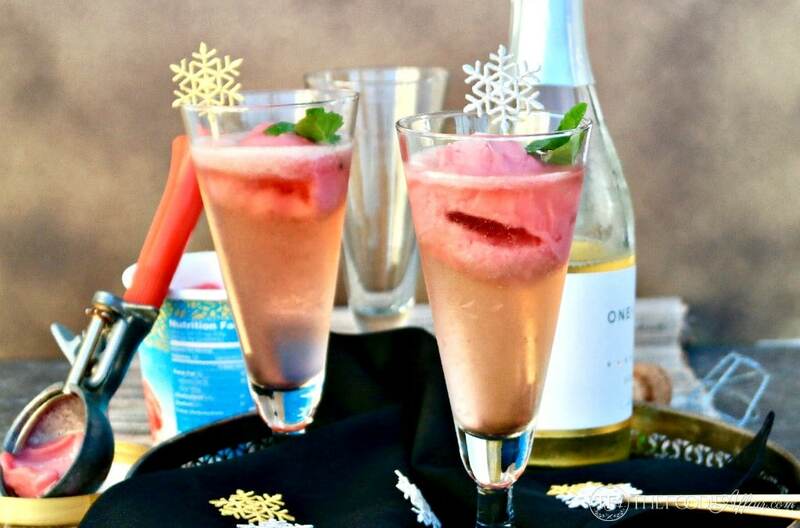 I love love Prosecco….but adding raspberry sorbet….yes! I’m all over this! Super yum! The Italians make great combinations with lemon. Raspberry is just as fabulous! I always loved punch with sherbet as a kid, love this grown up version! Hope you get to try this cocktail soon! Aaaah! This looks amazing! 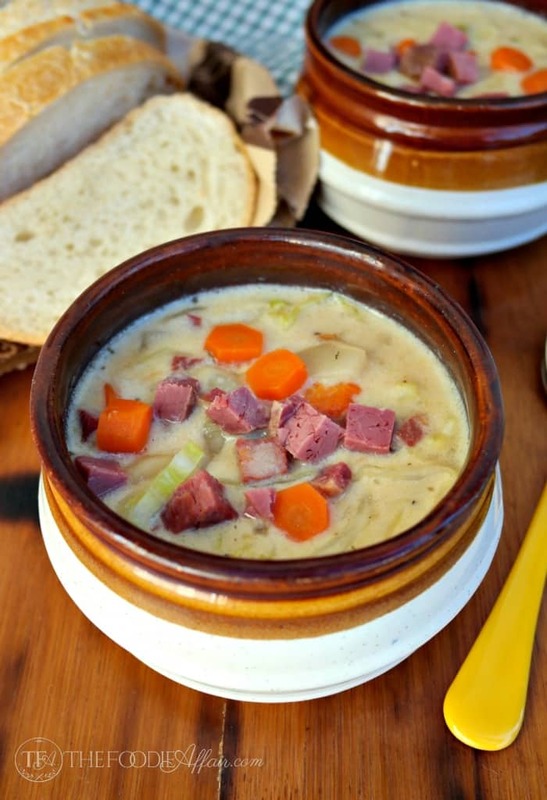 Would’ve been perfect for NYE last night…but I promise not to wait until next NYE to try it! Heavenly! Girls night in, bridal celebration…the options are endless! Happy New Year, Sarah! The raspberry is so refreshing! This really is a lovely dessert cocktail that I know you’ll enjoy as well. Nice to have at any celebration. Wishing you all the best in this New Year. A perfect way to ring in the New Year! Salute! Talk about the best of both worlds! Dessert and booze is the perfect way to end or begin a year. It’s so pretty with the fizz and the pink raspberry sorbet too! This sounds like my kind of beverage. Easy to make and tasty to drink. I could go for one now. Sounds lovely and refreshing. It’s a festive drink for sure! I love serving it since it’s so pretty. 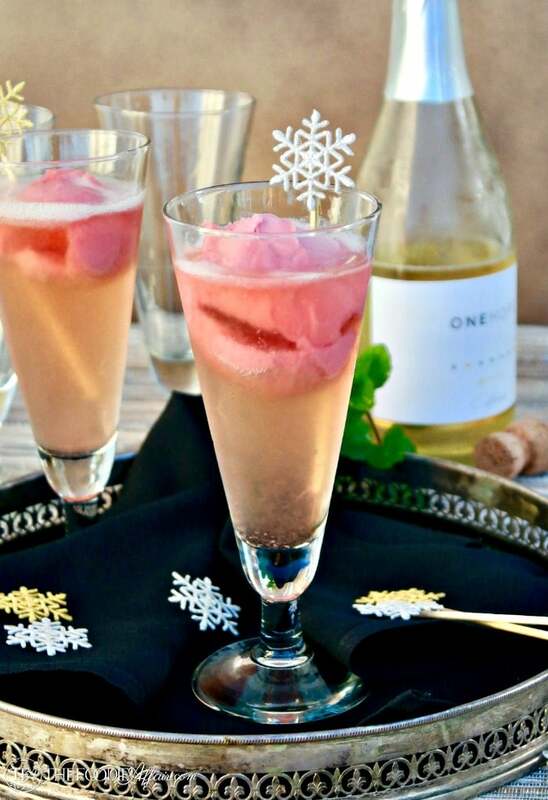 What a perfect cocktail to ring in the new year! And on another note, your comments are still timely – three years later. Happy New Year to you!